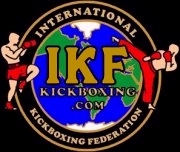 IKF Judges: Kim Kongkriangkai, Francisco Granillo & Alternating Referees. Judge Kim Kongkriangkai: 29-28 Villalobos Jr.
Judge Francisco Granillo: 29-28 Romo. Judge Dan Stell 29-28 Villalobos Jr.
defeated **Sammy Morales (Los Angeles, California, USA, 2-1, 124.6, 5'6", 9-28-86, Rod Mciever, (310) 844-3921, - (FP: 8-21-15) - (RN: 8-22-16) - (LU: 8-23-15)) by KO at :57 seconds of round 1. Sammy Morales was issued a 30 day no training and 45 day no competition Medical Suspension until October 7th, 2015 by Dr. Audrey Konow. Judge Kim Kongkriangkai: 29-28 Sanchez. Judge Francisco Granillo: 29-28 Sanchez. Judge Vichai Supkitpol: 29-28 Balderrama. 8-22-15: (**) DOB had been reported incorrectly by rep as 2-18-95. 7-18-96 is the correct DOB. Jolina-Rose Pardilla Did Register/License & Did get a Full Physical. Noemi Guerrero Did NOT Register/License & Did NOT get a Full Physical. Only a Pre-Bout Physical. Valeria Cardoza was overweight by 1.8 lbs. and choose not to lose the weight for the title as scheduled. The bout went on as a regular bout agreed upon by both trainers, and Diana Avila was pronounced the winner of the IKF title on the scale. (***) Arballo was listed as IKF Licensed. However IKF does not have her as IKF CA Licensed. Nicole Holmes was issued a 30 day no training and 45 day no competition Medical Suspension until October 7th, 2015 by Dr. Audrey Konow. Judge Kim Kongkriangkai: 10-9 Homes. Judge Francisco Granillo: 10-9 Homes. Judge Jim VanOver 10-9 Johnson. Erica Wilson was issued a 30 day no training and 45 day no competition Medical Suspension until October 7th, 2015 by Dr. Gatus. Erica Wilson never sent in her PAST BOUT HISTORY FORM. Judge Kim Kongkriangkai: 10-9 Jones. Judge Francisco Granillo: 10-9 Jones. Judge Dan Stell 10-9 Jones. Alicia Herrera Did Register/License & Did get a Full Physical. Jakie Frausto Did Register/License & Did get a Full Physical. Flor Jimenez was issued a 180 day no training/no competition due to left knee injury unless cleared by physician. Otherwise standing 30 day no training and 45 day no competition Medical Suspension until October 7th, 2015 by Dr. Audrey Konow. Judge Kim Kongkriangkai: 29-28 Mauldin. Judge Francisco Granillo: 29-28 Mestler. Judge Jim VanOver 29-28 Mestler.